The top figure who unveiled undercover videos of Planned Parenthood and other abortion operators is having to defend his right to investigative journalism in court. Attorneys from the Thomas More Society are representing David Daleiden and defending his right to record and disseminate footage from a National Abortion Federation (NAF) annual meeting. Lawyers from Daleiden made arguments in his defense in San Francisco on Friday at the U.S. District Court, Northern District of California. The NAF claims that Daleiden and others signed non-disclosure agreements during meetings with NAF officials and procurement facility executives, where activists from the Center for Medical Progress posed as undercover actors and hid video and recording devices. The NAF and procurement facilities want to keep hundreds of hours of video and recording permanently sealed. The organization has argued that the release of undercover videos has resulted in a spike in violence against abortion providers and clinics in 2015. "Since the release of highly-edited, misleading videos this summer, we have recorded an unprecedented increase in hate speech, threats, and calls to action targeting abortion providers," the NAF declared in a press release on Tuesday. The Center for Medical Progress has denounced violence against abortion facilities and denied any connection to the shooter in Colorado Springs in October who killed three individuals, including a law enforcement officer. 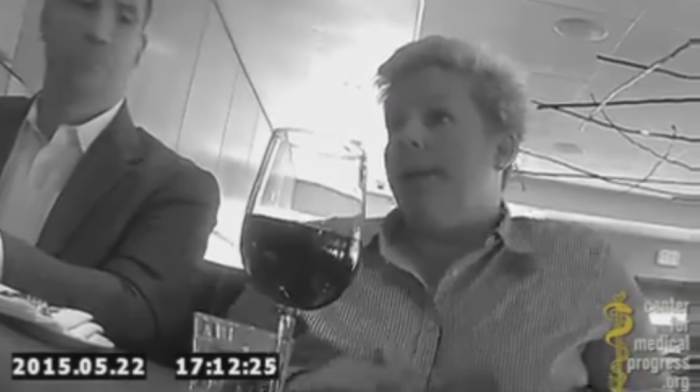 The videos are part of the long-investigative undercover footage released by the Center for Medical Progress that has raised questions about Planned Parenthood's practice of selling aborted baby body parts. The footage led to state investigations and congressional hearings in Washington; however, federal funding for Planned Parenthood remains unchanged. After the release of the videos, Planned Parenthood announced they would no longer be accepting reimbursement for aborted baby body parts. Human fetal tissue and baby parts are legally allowed to be included in research but profiting off the remains is illegal under federal law. In a statement provided by the Christian Post, Tom Brejcha, Thomas More Society president and chief counsel slammed the abortion organization for trying to suppress Daleiden's right to speech. "The National Abortion Federation (NAF) is working with Planned Parenthood to suppress David Daleiden's First Amendment rights and to shut down his investigation of the abortion groups' involvement in baby parts trafficking," Brejcha declared. "Thus NAF's lawsuit, charging David with 'fraud' and 'racketeering' is nothing less than illicit censorship — a prior restraint at war with our fundamental notions of free speech and freedom of the press." Bjecha emphasized that if the NAF wins this case it would have severe repercussions for silencing the media and will be beneficial for criminals. A press release by the Center for Medical Progress condemned the attempts to silence Daleiden and the Center for Medical Progress and added that the National Abortion Federation "is a criminal enterprise and a key partner in Planned Parenthood's late-term abortion and baby body parts business." Live Action News reported that 23 Planned Parenthood centers closed in 2015. "The number of Planned Parenthood centers has dropped significantly since its zenith of 938 facilities in 1995. Over the last decade, Americans have been exposed to Planned Parenthood's legacy of lawbreaking and abuse, as undercover investigations by Live Action, and most recently by the Center for Medical Progress, revealed the true face of America's largest abortion chain," read the report.